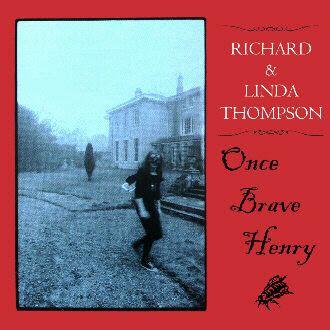 The Rare Stuff: Richard and Linda Thompson LIVE 1973: "Once Brave Henry"
Richard and Linda Thompson LIVE 1973: "Once Brave Henry"
PS If you want to support the artists, and get another great live set from a few years later, check this out. I was going to comment, is this the one where they do the spectacular Left Banke song "She May Call You Up Tonight" and then I see the listing. YES! Great stuff here. Thanks for sharing. I've a feeling I'll be stopping by this site often. Very nice, many thanks. Good luck on the new blog. WOW! I'm with bglobe313, filled with rabid love for a cover of one of my very favorite Left Banke tunes. THANKS! Nothing profound to add, I'm afraid, except for my thanks for the splendid job you're doing here. Thank you. yo bro - it won't play on WMP - any hints? Hi, I don't know if I'm missing something but after I download the file there is no file type suffix like .zip or .rar. The file won't open in Winzip and I don't know what other program to open it with. Any ideas? Well first Patti Smith and now this which I know is going to be absolutely wonderful It used to be claimed that Henry the Human Fly was the worst selling record in Island Record's history, but it is one of my favourites. Thank you. I have taken advantaged of your incredible website before (and, hopefully, I've always left a comment). However, I don't know how I've missed this gem for so long. This is worth having even if it is an audience recording with some inherent faults. Thank you very much. I was almost put off by the word "trebly" in your text but, considering the age of this recording, I thought it was wonderful. Thank you again. God this is good. Thank you so much. Thank you very much for sharing.Sound is not so bad! I had forgotten how good they sound together. My, but this is heavenly. I love what the duet treatment brings to the "Henry..." songs. Can't thank you enough. Richard and Linda Thompson – I Want To See The Bright Lights Tonight album…. is now available on Vinyl at. Oh this takes me back! Thank you SO much! Any chance of a re-up??? Hi, as tony asked, any chance of getting this again? Thanks!